Despite what it says in the listing ( I did it…) it is actually quite a rare form; we’ve not seen one of these before. I used Aidan’s previous listing to help me write it and kept ‘a well collected form’, thinking it was a piece of his sales patter… apparently, it’s quite unknown so a more accurate description might be ‘a well searched for’ form. Oh well… the collectors will know their stuff well enough to appreciate it! The glaze is amazing: vibrant, bold and striking. 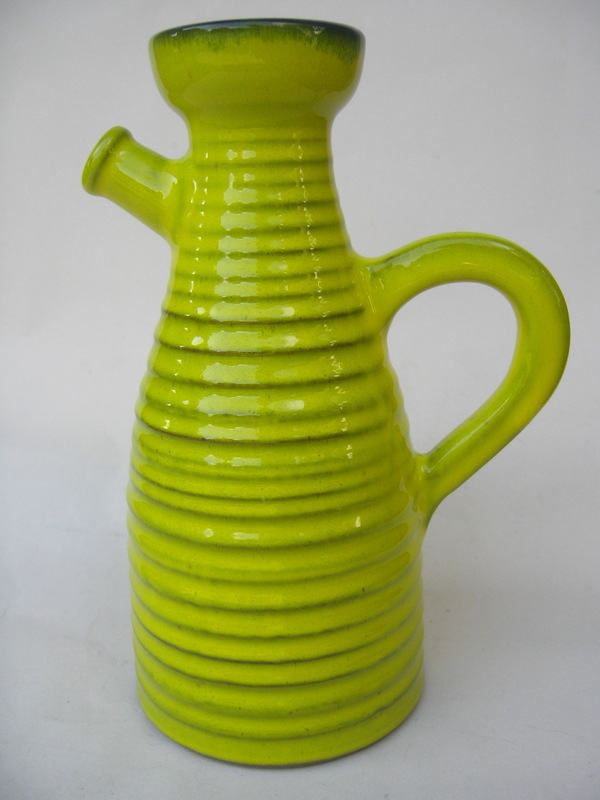 Roth are a company who produced such a plethora of different forms, glazes and colours. Usually, I’m not such a fan, but I do find this one quite appealing. 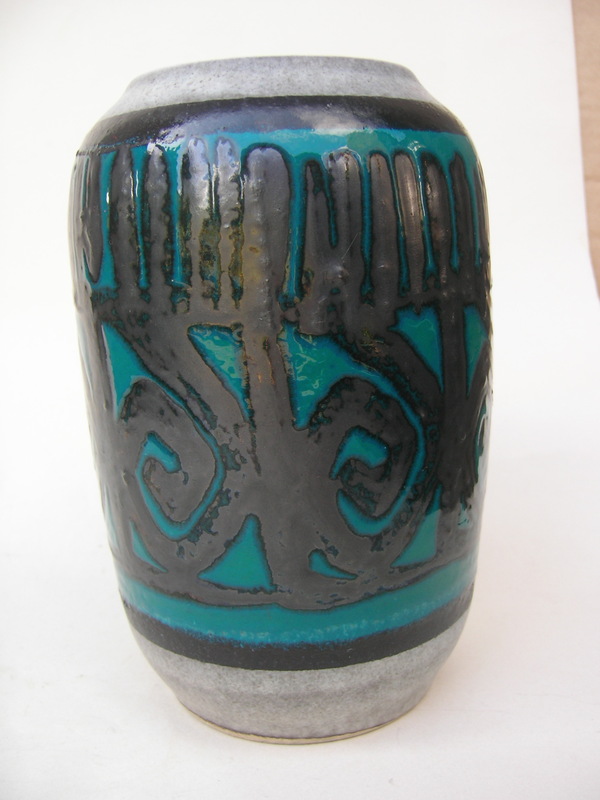 Look at the turquoise and silver against the pale grey of that Scheurich pot! We’re in the process of doing up our house, and we’ve got a few old decorating books from the 1950s to use as inspiration. In one of them, it advocates using unusual things to inspire your colour schemes, such as flowers or favourite pictures. This pot would be a brilliant colour palette for a room! Or nails! I might have to paint my nails in something resembling this pattern tomorrow. I should explain that I’m a little bit obsessed with nail varnish, so I should have the colours to create this somehow. Now, for quite a while I was adamant that we couldn’t possibly sell this one. The shape! The colours! The ridiculously drippy, metallic red glaze! But, as all obsessive collectors know, eventually you have to make choices about what to keep and what to sell. Sadly, it has been usurped by other pretenders to the West German crown. At least the beauty of Ebay – and the field we are working and collecting within – is that you know that when it does sell it will be going to someone who will love it, cherish it and hopefully give it pride of place in their homes. Otto are a pretty stupendous company, with pieces brimming with originality and individuality and this one is certainly no exception. 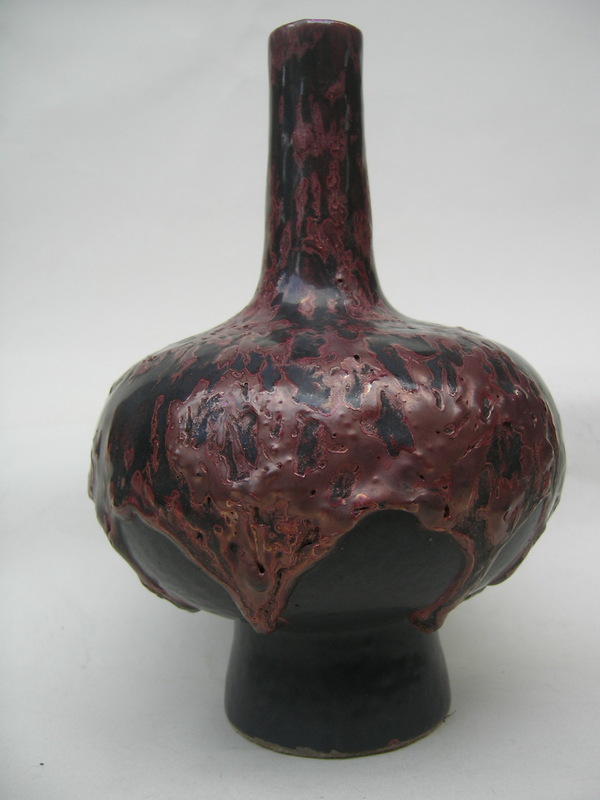 The founder of the company, Otto Gerharz, was very interested in the technical development of glazes and I think you can see this in the complexities of the glaze here. 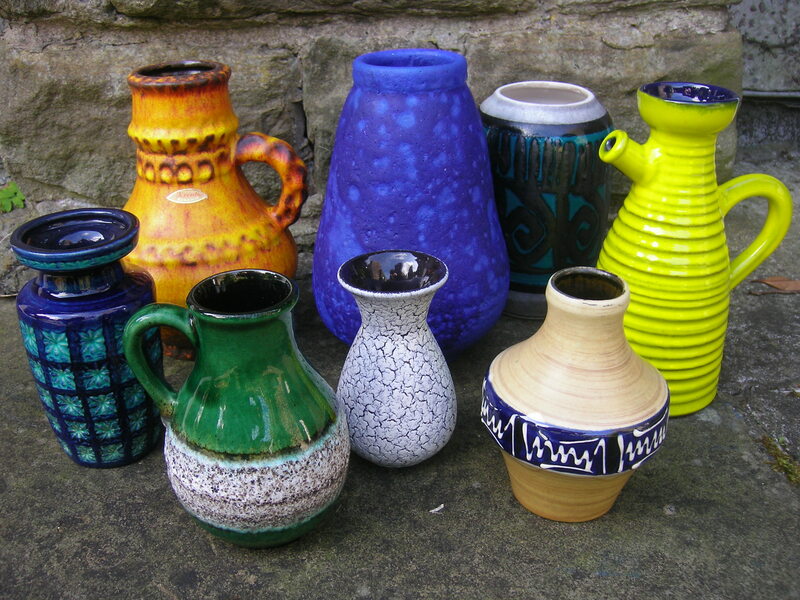 So, those are my picks of the pottery bunch – which ones do you rate? Or even, which do you hate? WGP is an exciting field that divides opinion and can spark an extreme reaction one way or another. What does it provoke in you? Just in case you missed the links scattered throughout, you can view the entire collection for sale here. 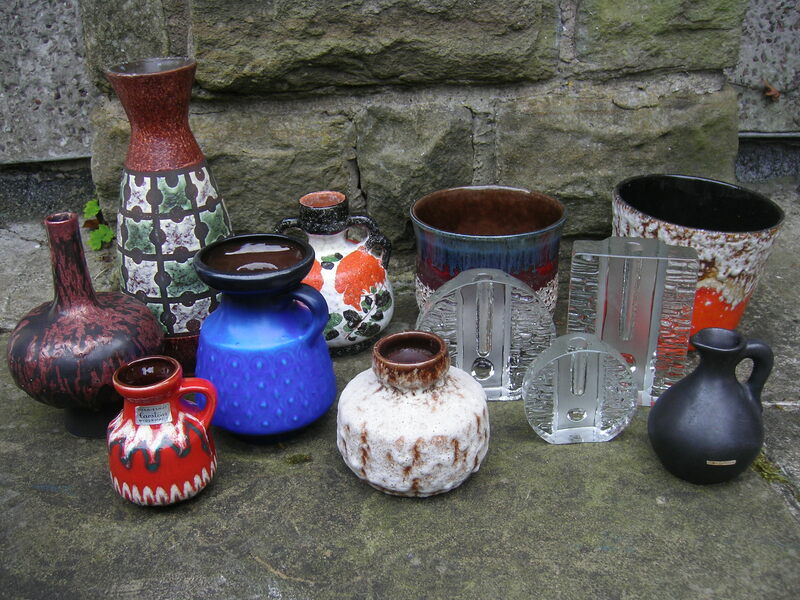 New pieces of West German Pottery are listed every Sunday evening between 7 and 8pm to end 10 days later. Gosh! I mean, WOW!! I have one of those Solifleur round vases. But I didn’t know they were Solifleur. I didn’t know they were anything, actually.